The classic sweet now roars even louder than before! 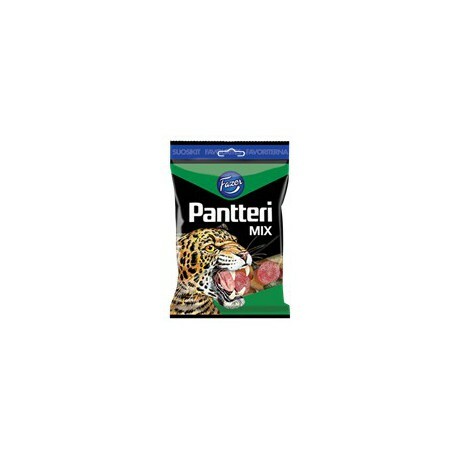 The Pantteri ('Panther') Mix bag is a mixture of salty liquorice and fruit sweets that will reveal your inner cat! (GB) Sugar coated wine gums tieht fruit and liquorice flavours Ingredients: sugar, glucose syrup, modified starch, gelatin, WHEAT FLOUR, ammonium chloride, salt, liquorice extract, acidity regulators (E270, E325), flavourings, colours (E153, E120, E141, E160a, E100). Producer: Fazer Confectionery, Finland.